You’ll probably agree that some of the best online casinos in Jersey are generating a lot of attention, especially considering the Channel Islands’ appealing tax legislation and gambling restrictions. We’ve selected the best online casino sites in Jersey that look after their customers and have worthwhile and valuable casino Welcome Offers and VIP High Roller Offers. We also delve into any relevant Jersey regulations that you need to be aware of, the top slots and tables in the UK and popular payment methods, such as PayPal. Jersey is usually considered to be a hot zone for businesses looking for tax breaks, which kicked off back in the 1950s when the lightbulb moment struck and people realised, they could save a fortune by becoming Jersey residents and taking advantage of their lucrative tax brackets. Come 2008, businesses operating in Jersey became exempt from all taxes. There are some exceptions, particularly for financial service corporations and utility companies; however, this highly appealing factor can’t be ignored. This also extends into personal tax affairs, with the maximum rate for personal tax being 20%, which is half the UK’s maximum rate of 40%. With this in mind, you can take advantage as a VIP high roller of the online casinos in Jersey. What does Casino Deal consider when choosing the top online casinos in Jersey? Not all online casinos are going to be worthy of your attention, especially when you consider poor RTP rates and high wagering requirements across many games; something we know that VIP high rollers like yourselves are going to want to skip. Along with the other Channel Islands, it’s not too much of a statement to say that Jersey contains one of the highest concentrations of VIP online gamblers in Europe, if not the world (ignoring the steaming amount of casino activity that goes on in Vegas). 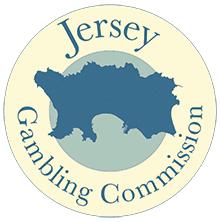 Again, it’s mainly due to the Jersey Gambling Commission’s rules and regulations not being as restrictive as other locations, as well as the highly favourable tax laws in place. This has made it slightly easier to whittle the Jersey online casinos down to the below shortlist, which features the bonus offers along with their T&Cs, wagering requirements and anything else you need to be aware of. Top VIP high rollers will use a staking plan and go into each gaming session with a bank and a staking plan in mind. In fact, this is something all gamblers should practice. This ensures that losses aren’t chased and there’s a clear exit strategy. This links in well with framing your mental game when using the top online casinos. If you’re feeling tired, emotional, or have any money worries, refrain from any form of online gambling until you’re in a better position. Check the different payment options with the casino. For example, bank deposit, PayPal, Skrill, etc. before you register an account—this will save you a lot of time. The above might not seem like rocket science, but they’re important factors to keep in mind. Of final note, be sure to double-check that any bonuses and VIP statuses apply specifically to Jersey residents; the last thing you want is to push for VIP with an online casino to find it doesn’t apply. What Does VIP High Roller Status Mean to Jersey Online Casino Players? There’s definitely a certain sense of pride within the online casino industry when you achieve VIP status. Despite it being easier to achieve when compared to traditional physical casinos, it’s nothing to be scoffed at. Regular deposits and regular playing will flag your account quicker than taking the welcome bonus, completing the wagering and then packing up and not logging in again. So, while it takes time and dedication to hit VIP, the rewards can be extremely fruitful. Just as with any business, preferential customers (which in your case is as a VIP) are going to attract closer attention from casino management. And this is in a good way, of course. Online casinos will go lengths to make you feel wanted and treasured as their customer. They’re going to be offering you more deposit bonuses and reduced wagering requirements (if any!) when compared to a regular customer, but you can also smile at the thought of being considered a VIP high roller in Jersey, one of the most popular online gambling locations on the planet. Jersey online casinos are also known for offering their customers with non-casino related rewards such as free gifts and the chance to win tickets to red carpet events and exclusive entertainment packages. 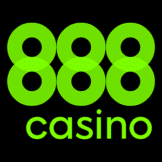 It’s always nice to receive instant replies from customer service lines and your withdrawals being processed immediately rather than needing further identification; something we know to be a serious burden for online casino customers. 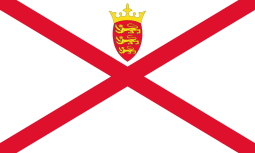 The Jersey Gambling Commission is the operating body of the island, having been established in 2010. Since Jersey forms part of the UK, when it comes to registering for online casinos, players are included if they are a resident of the UK. It is a legal requirement that all remote gambling operators (which includes online casinos) acquire a Remote Operators Licence from the Commission. They must also register with the Jersey Financial Services Commission. However, it is important to note that anyone who is a resident of Jersey, thus the UK, can play at any online casino that’s licensed by the UK Gambling Commission. The UKGC is the most trusted and reputable gambling licence in the UK, and the world. Players can rest assured that this licence is a seal of quality. For VIP high rollers, you might want to ensure that you check to see if the online casino holds a UKGC licence. This is something they must display on their site. The Jersey Gambling Commission does have a list of the current licensees. Interestingly though, thrift clubs seem to be incredibly popular in Jersey, as opposed to there only being six registered bookmakers and six remote gambling operators. It is for this reason, the most important license is that of the UK Gambling Commission. Despite Jersey’s active encouragement (or so it seems) of online casinos, the good news for you, as a player, is that Player Protection Legislation is in place. This is very important for you since it means that licensees must set out in their terms and conditions, whether or not they protect your funds in the event of insolvency. This is underpinned by two pieces of legislation in Jersey: Gambling Commission (Jersey) Law 2010 and the Gambling (Jersey) Law 2012. Try and stick to the main, well-known and, more importantly, licensed casinos. These will happily offer up their registration information on their website, as well as mention any awards and accolades they hold. Ask your peers who they use. Sometimes you can’t beat word of mouth suggestions, and at the top of their comments is potentially excellent customer service, preferably live 24/7 support. Those we’ve featured on this page are considered to have all of these requirements in place! Be aware though that many online providers are outsourcing their customer support overseas, which can prove to be frustrating, so ensure you check this out. Try and see past just the welcome bonuses. You should be targeting VIP status, and so knowing what tasty treats might open up to you is important. Within these bonuses, be sure to not fall into the trap of ignoring wagering requirements. If they’re excessive, then this will greatly reduce the positive EV (expected value) of the offer, potentially rendering it negative or worthless. Your time is important! NetEnt is without a doubt, at the top of its game when it comes to providing online casino gaming software. Its reliance is second to none. You will likely see that the majority of bonus wagering is done on their popular Starburst game. Although NetEnt has a 95% to 98% RTP range for their games, Starburst isn’t the most popular, probably since it’s at the lower end of the range. Their games are fun and fast, though! Playtech is probably most known for its deal with Marvel to provide slots under their IP. There’s something awesome about spinning through a superhero slot! Playtech has also branched out into sports and deals with leading bookies including bet365, Ladbrokes and William Hill. Microgaming has a sizeable portion of the online gaming software providers in Jersey. They’re also the original old school software provider, being established in 1994 and the first to enter the market. They’ve done pretty well to fend off the newcomers and still have hundreds of popular games to their name, including progressive jackpot networks and games spreading over 24 languages. Gonzo’s Quest. Ah, that classic thud when the reels stop spinning and the crunch when the blocks break. It’s crazy to think this NetEnt slot has been around since 2010 but is still one of the most popular slots in existence. Its RTP is 96% and has an automatic bonus feature. You’ll find that wagering requirements are often carried out on this slot. Starburst. It's one of those slots that we all love and hate at the same time. The love is because it’s a 2012 classic. The hate comes because it’s used far too often for wagering and for free spins promotions, but it’s still a fun to play NetEnt slot. Playtech’s “A Night Out” slot has an RTP of 97.06% and a maximum bet of £200. The good thing about this online slot is that the paylines aren’t fixed, so you can choose which ones you want to activate. Although the graphics appear to be a tad outdated, the progressive jackpot feature is highly popular. Microgaming doesn’t have as many well-known slots as the other providers, although Avalon II does prove to be popular; this is largely due to it’s not-horrendous RTP of 97%, 243 paylines and 8 bonus games featuring free spins, multipliers and coins. Jersey’s various bonus offerings don’t vary from other big European gambling countries, primarily since Jersey is part of the UK. It’s also important to remember that Jersey is highly popular due to its beneficial tax laws, encouraging more and more trade and online activity since the online gambling industry really took flight. The regular bonuses offered to VIP high rollers in Jersey are important, which is why we have featured the main gambling providers on this page. Covered by the UK Gambling Commission and the Jersey Gambling Commission, these top Jersey online casinos are the ones you should be focusing on, whether you’re a social gambler or looking to establish yourself as a VIP.